Who doesn’t love ninjas? For anyone who loves both fashion dolls and ninjas, this is the perfect gift! 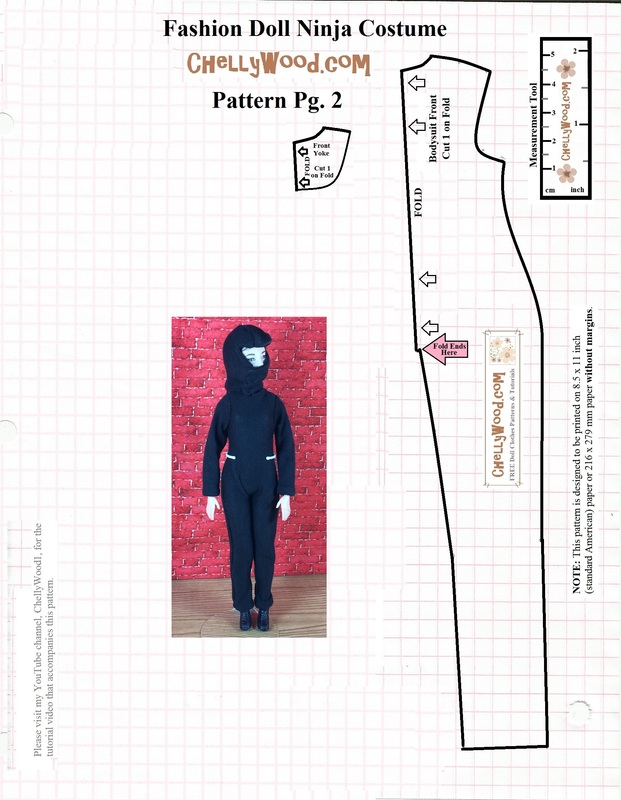 Now you can sew a fashion doll ninja mask to fit most 11.5 inch / 29 cm fashion dolls, like Barbie®, Queens of Africa™, Gloria™ dolls, and similar-sized dolls! For a tutorial on how to sew the uniform (full-body costume), click back to yesterday’s posting. 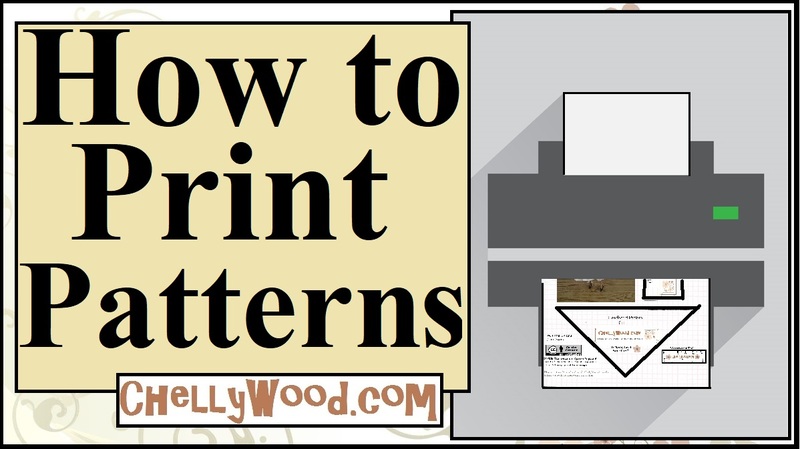 Remember, you must enlarge my patterns to fit a full-sized piece of American computer paper (8.5 x 11 inches or 216 x 279 mm) without margins, before printing. 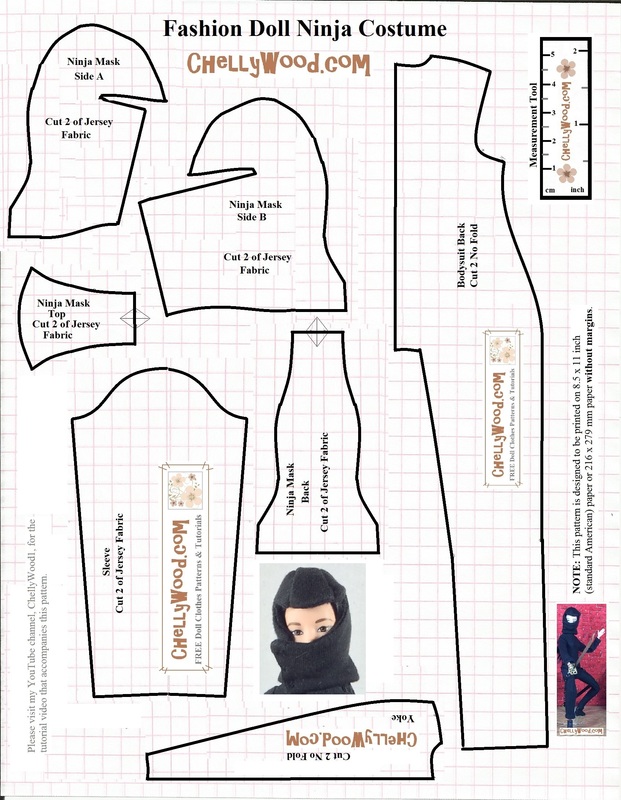 These designs use a 1/4 inch seam (standard for fashion doll sewing projects).